I basically went through a stack of PSX games I got when I was in Japan for about an hour and a half today. Ill spare you the details, you wanna see me actually “do” something, skip to the 30 minute mark, because all I did was try and figure out HOW TO MOVE THE DARN YAMATO!!! After that it was trying out 2 Gundam games (one unplayable and the other unable to play) and I just gave up on the One Piece game there after. Click this giant amount of text to see the Twitch.tv video, because the video players I have posted before automatically play on the site without you doing anything to it. Next time, I might just play some of the PS2 games I got, maybe. This entry was posted on 08/03/2014 by zeonicfreak. 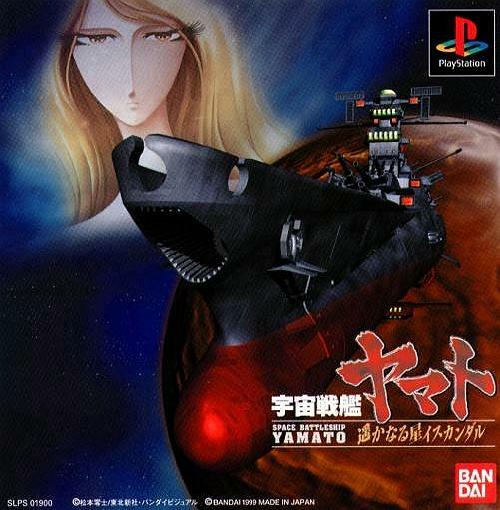 It was filed under Other, Video Games and was tagged with Gundam 0079, Lets Play, One Piece Ocean of Dreams, PSX, Space Battleship Yamato, War for Earth, Z Gundam.